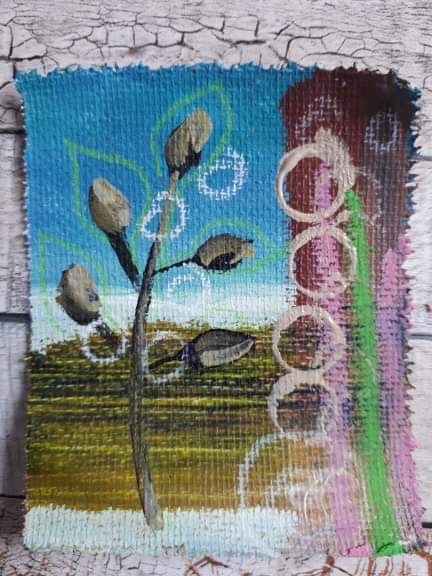 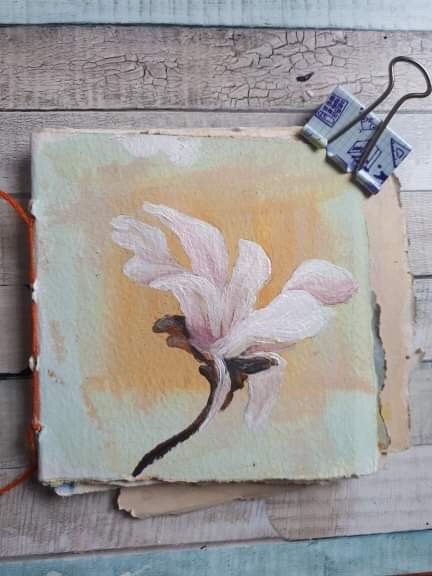 Another magnolia study in my handmade book, I am so enjoying creating these little studies alongside preparations for my online class! 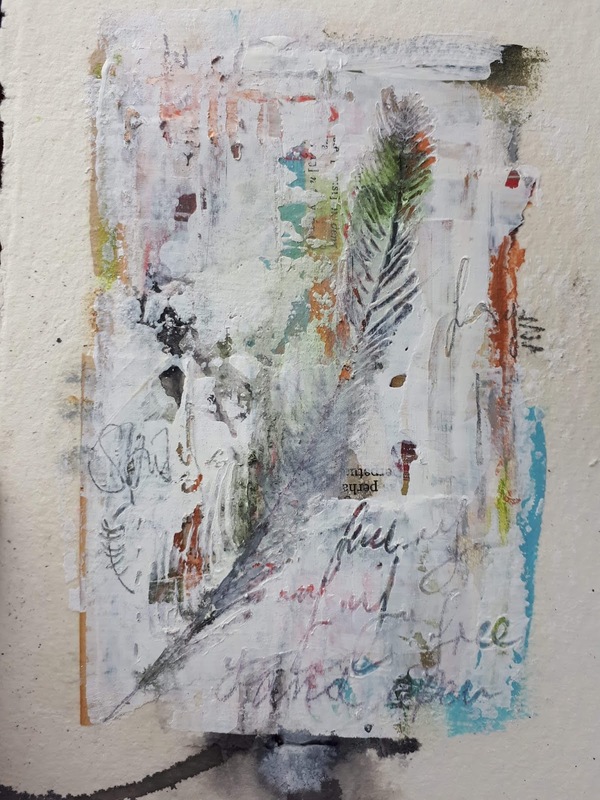 One in a series of mixed media feather studies created for the Flights of Fancy Exhibition, opening in Falmouth in May 2019. 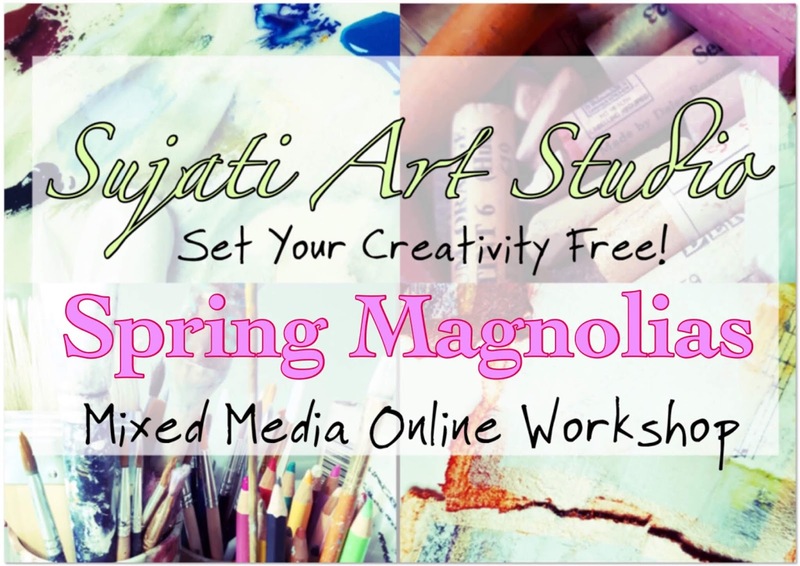 Class opens soon! Watch this space for details, I am almost ready to launch and super-excited about this one! 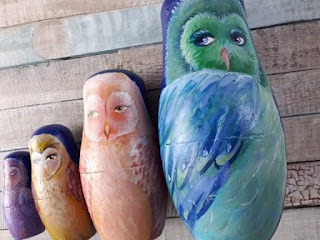 A family of colourful, fun owls, created from a repurposed set of Russian dolls! 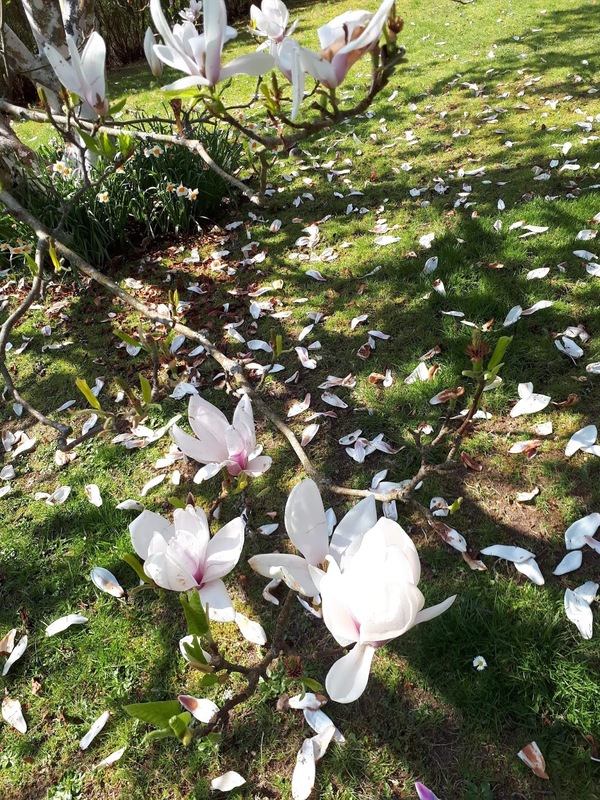 I am so enjoying the spring blooms this year, I am designing an online class around some wonderful magnolia blossoms and this led me to create more and more as I studied them and shared techniques-there my soon be lots of flower paintings on the way! 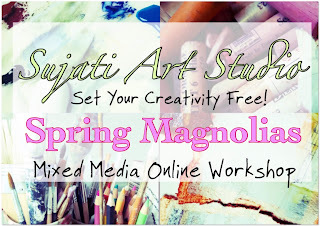 Moonflower- new online workshop opens soon! I am a mixed media artist . My art is inspired by fantasy and whimsy and is often strongly feminine. I am fascinated by expressive faces. 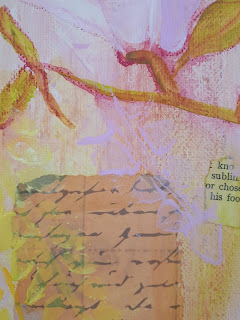 My work evolves in many layers and is often accompanied by a story or poem that comes to me along the creative journey. 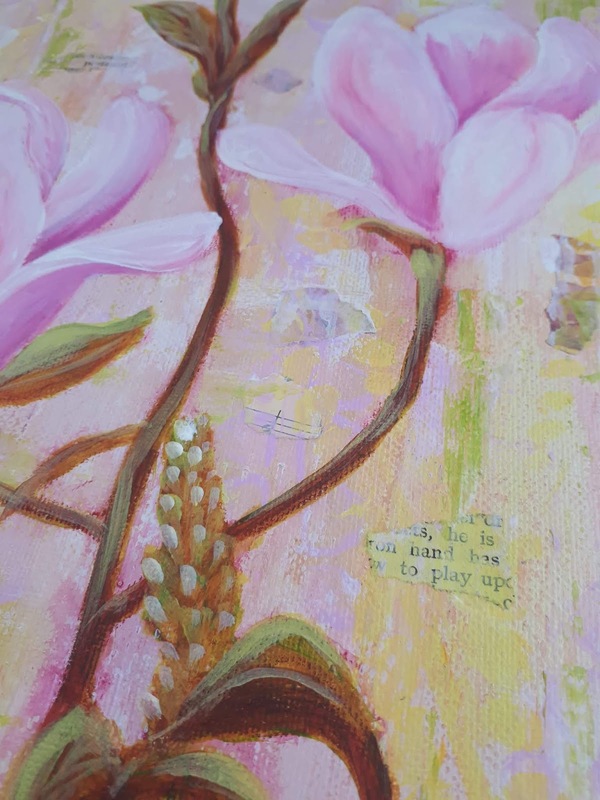 I studied Art and Design ,plus later on also Fashion Design and I have had a varied career which includes working as a glass engraver,owned a small gallery,and I also designed and made fascinators,headresses and tiaras for a Bridal House for a time. I am based in Cornwall in the beautiful City of Truro, UK . 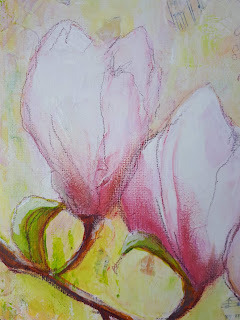 I am currently working on a series of online tutorials and workshops to be made available soon!